It’s said that necessity is the mother of invention. In keeping with the old adage, it could also be said that Windstar Lines was inspired by necessity. When Cathy Greteman was running her Iowa-based travel and tour agency back in the 1990s, she was not satisfied with the quality of motorcoach providers in the region. She envisioned a high-level passenger experience that would consistently offer great drivers and clean, modern motorcoaches. She wanted coaches that would “ride like the wind” and she wanted “to treat her passengers like stars.” Hence, Windstar Lines was born. With just one Van Hool motorcoach, Windstar Lines began operating in 1995 under Cathy and Mike Greteman’s leadership and has grown to become a major service provider with an expansive service network throughout the Midwest. 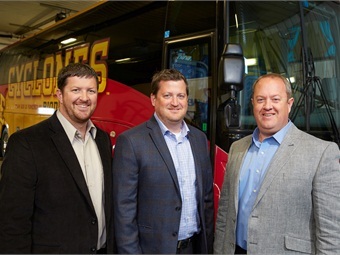 The family-owned-and-operated company is marking 20 years in the motorcoach tour and charter business with brothers Jeff, Scott and Pat at the helm today. All of the Greteman siblings have learned the business through hands-on experience — driving, washing and maintaining the family fleet from the early years on. 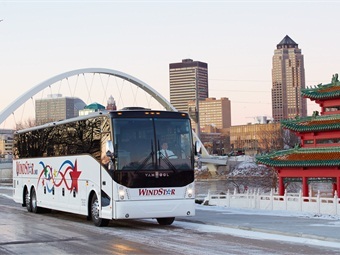 Today, Windstar Lines operates and maintains a fleet of 90 luxury coaches and offers service throughout the region covering the entire state of Iowa, Eastern Nebraska (Lincoln/Omaha and surrounding), Eastern South Dakota, the Kansas City Metro area and North Central Illinois, as well as Southeast Wisconsin. The company’s focus of providing “Midwest Hospitality” is anchored in delivering a memorable passenger experience that is high-quality and at times flexible in order to meet customer needs. According to Jeff, Windstar drivers undergo a careful screening during the hiring process, which includes behavioral testing. The company’s management staff optimizes the driver recruiting process via targeted marketing efforts that are tracked and measured to identify the most opportunistic markets for attracting new hires. “In terms of driver safety awareness and best practices, Windstar provides consistent safety training and monitors driver’s speeds remotely. 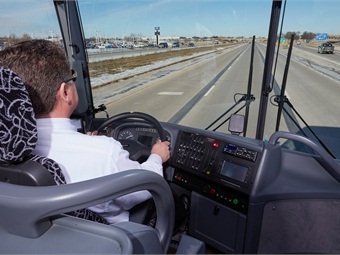 We can readily identify over-speed events and routinely track speed reports that are followed-up with a face-to-face session with drivers — where Windstar management can enforce corrective measures and give positive reinforcement as applicable,” he says. 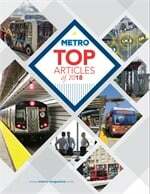 The company reports a significant improvement in this area since implementing the program. Company drivers undergo a careful screening, which includes behavioral testing. Driver recruitment efforts employ targeted marketing efforts, which are tracked and measured. As such, Windstar demonstrates their commitment to supporting that investment through continuous employee training, particularly in areas of customer service and safety. The company employs 200 workers throughout the Midwest region and has recently added an additional safety director to their staff. The newest hire is a former Federal Motor Carrier Safety Investigator, who brings a wealth of experience to the job — including over 500 compliance reviews. “Hiring first-rate employees and incenting them with positive feedback, rewarding careers and a company culture that is rooted in family values has earned the company a reputation for stellar customer service,” Jeff continues. “Maintaining firm control over day-to-day operations, and operating a modern and consistently-maintained fleet are all key factors to our steady growth.” The Windstar fleet includes mainly late-model equipment, which is predominately Van Hool CX, TX, C2045 and T2145 units. Eight new models were purchased in 2015 and an order for 10 new Van Hool CX45 coaches is slated for delivery in 2016. The new coaches have been spec’d by ABC Companies to meet Windstar’s particular requirements and will include top-of-the-line features, such as grand luxe 210 seating, wood flooring, chrome mirrors, 110-volt outlets at passenger seats, REI entertainment systems, side cameras and more. Jeff cites other business strategies employed by Windstar designed to focus on optimizing daily and long-term operations. Scott, Pat and Jeff Greteman (L to R) learned the business through hands-on experience — driving, washing and maintaining the family fleet from the early years on. Windstar also utilizes Coach Manager Software to easily and efficiently allocate and manage a wide range of booking, vehicle and driver-related activities. Standardized practices, uniformity and efficiency throughout all locations are core business goals. “Of course charging fair rates, keeping an eye on expenditures and plain old-fashioned hard work have been, and continue to be the company’s mainstay for steady growth,” says Jeff. Windstar Lines takes pride in its industry involvement and has been a past recipient of the United Motor Coach Association’s (UMA) prestigious Vision Award. They actively participate in industry trade events and conferences and are a founding member of the Motorcoach Council. Sponsorships and memberships include UMA, American Bus Association, Midwest Motorcoach Association, numerous Chambers of Commerce and CVBs, Insurance Captive Group and a Spader 20 Group. As they celebrate a 20-year milestone, Jeff reflects on some of Windstar’s major achievements. He believes that maintaining a high level of customer service and remaining financially stable in the midst of expansion has been integral to Windstar’s success. Especially applicable as Windstar acquired and turned around numerous failing businesses, while managing to keep staff members in place and integrate those workers into the Windstar family. 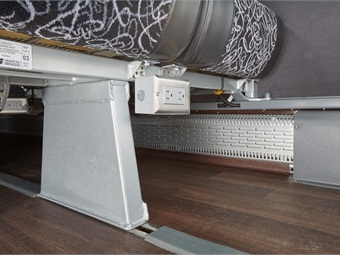 The Windstar fleet ­— predominantly Van Hool units — includes features such as grand luxe 210 seating, wood flooring, 110-volt outlets and REI entertainment systems. Jeff says that slow, controlled growth without sacrificing quality or customer service will play a pivotal role in Windstar’s future. He believes that a continued focus on building a top-quality workforce, in spite of a shallow labor pool, will help to fuel Windstar’s growth. Also the possibility of expanding beyond normal charter and tour operations with a more diversified fleet of minibuses, vans, entertainers and smaller motorcoaches warrants strategic consideration. The company will also continue its investment in customer service and safety training of employees while providing a superb work environment. And, most importantly, upholding his mom’s promise of delivering the very finest in Midwest hospitality to customers will keep the Windstar brand growing strong.